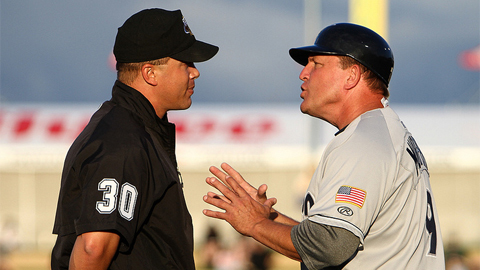 Pat Murphy has been named the first manager in El Paso Chihuahuas history, the Chihuahuas and San Diego Padres announced today. The Chihuahuas' inaugural 2014 season will be Murphy's fifth in the Padres organization and second as the Triple-A manager. Murphy led Triple-A Tucson to a 77-67 record last season, good for fifth-best in the 16-team Pacific Coast League. In 2011 and 2012, Murphy managed Eugene, posting the best record in the Northwest League both seasons. The Padres hired Murphy in 2010 as a special assistant to baseball operations. "The El Paso Chihuahuas are fortunate to have a proven winner like Pat Murphy as the first manager in team history," said Chihuahuas general manager Brad Taylor. "Pat's commitment and understanding of the team's role in our community is also a huge asset." "It is a great privilege to be part of a new beginning in El Paso professional baseball," said Murphy. "I am really excited for the season and look forward to getting to know the El Paso community. It is a wonderful opportunity." Before joining the Padres organization, Murphy was one of the most successful coaches in college baseball, accumulating 1,000 career wins before age 50, a feat accomplished by only two other coaches in history. His Arizona State Sun Devils strung together 47 consecutive Top 10 rankings from 2007-2009. Murphy also had tremendous success at Notre Dame, where the locker room facility is named the "Pat Murphy Clubhouse" to honor his stint as Fighting Irish head coach from 1988-1994. Murphy pitched four seasons professionally, including one year with San Diego's Class A Advanced Salem affiliate in 1983. Jacque Jones will serve as the Chihuahuas' hitting coach in 2014. A Major Leaguer from 1999-2008, Jones joins the Chihuahuas from Double-A San Antonio, where his Missions led the Texas League in batting average last season. Jones played for the Minnesota Twins, Chicago Cubs, Detroit Tigers and Florida Marlins in his 10-year Major League career. Mike Cather will be the Chihuahuas' first pitching coach. Cather worked as San Diego's Minor League pitching coordinator from 2012-2013 and previously served as a pitching coach in the Boston Red Sox system from 2006-2009. Originally drafted by the Texas Rangers in 1993, Cather reached the Major Leagues with Atlanta in 1997 and pitched three seasons for the Braves. The Chihuahuas' 2014 athletic trainer will be Nathan Stewart, who joined the Padres organization in 2006. Stewart previously served as the athletic trainer for Eugene, Fort Wayne, San Antonio and Tucson.